I saw this Jacques Pepin recipe last fall in Food and Wine Magazine (October 2011) and immediately bookmarked it. I still had a fear of the pie crust last year – I hadn’t had a lesson with my mom yet where she taught me her pie crust recipe. But I desperately wanted to make something apple pie-like for Robb since that’s his fave. This recipe was awesome because the crust gets made in 10 seconds in the food processor!!! 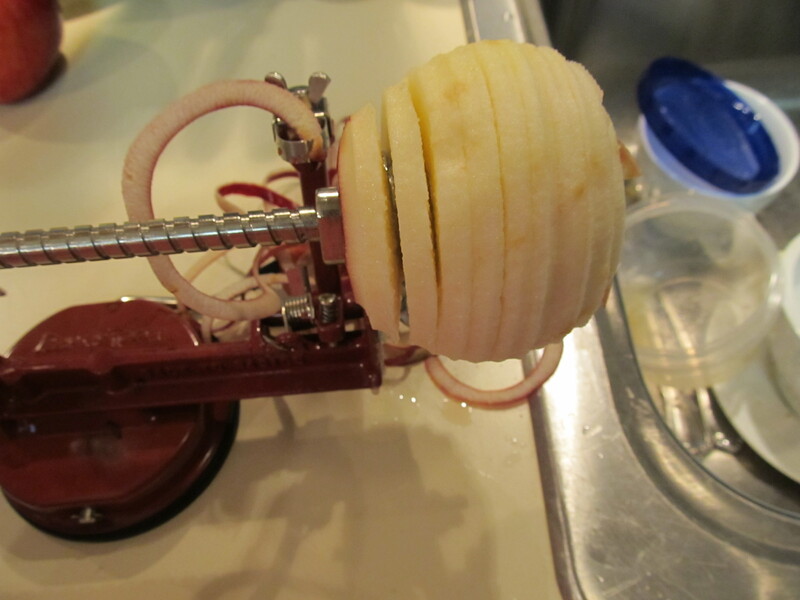 I got to use my apple peeler/corer/slicer that my mom gave me last year! I love this thing and HIGHLY suggest it if you don’t have one. This is the ultimate tool for someone who works with apples a lot. 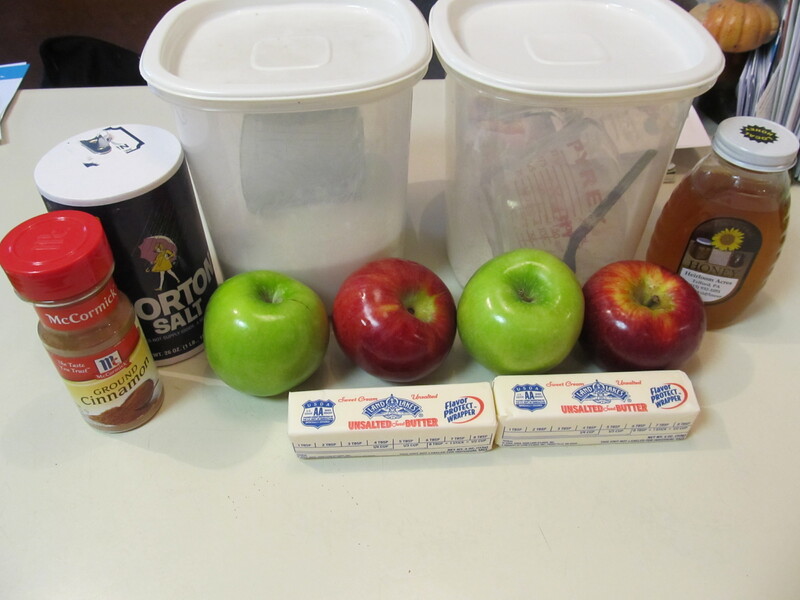 And some of the best baking apples that I used are: honeycrisp, pink lady, and granny smith. I really liked that the crust for this open-faced pie was made quickly in the food processor. No mashing the Crisco into the flour mixture by fork! Even though making pie crusts by hand are easy, too. 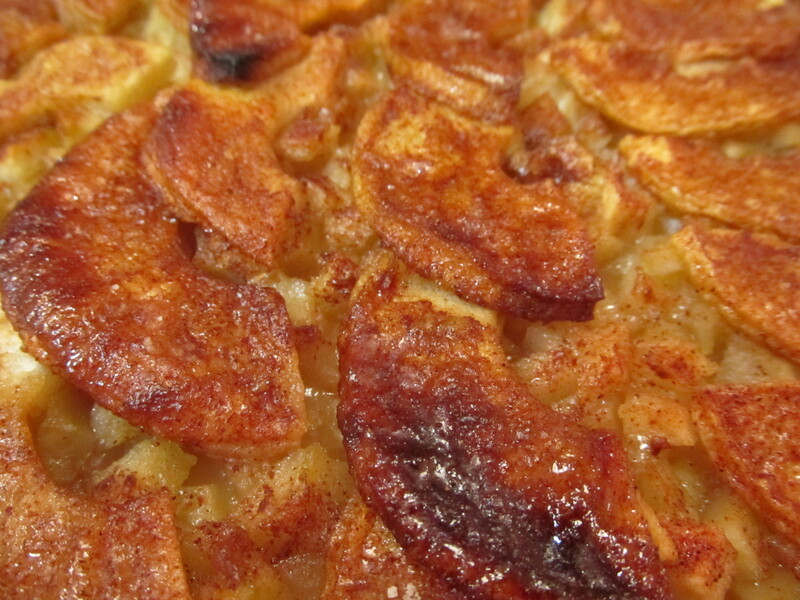 The apple-cinnamon-sugar mixture tastes amazing – but with the honey in the mix, too, it’s out of this world!!!! I know my edges look burnt – but that was just the sugar that leaked out over the sides of the crust. OMG sooooooooo good. 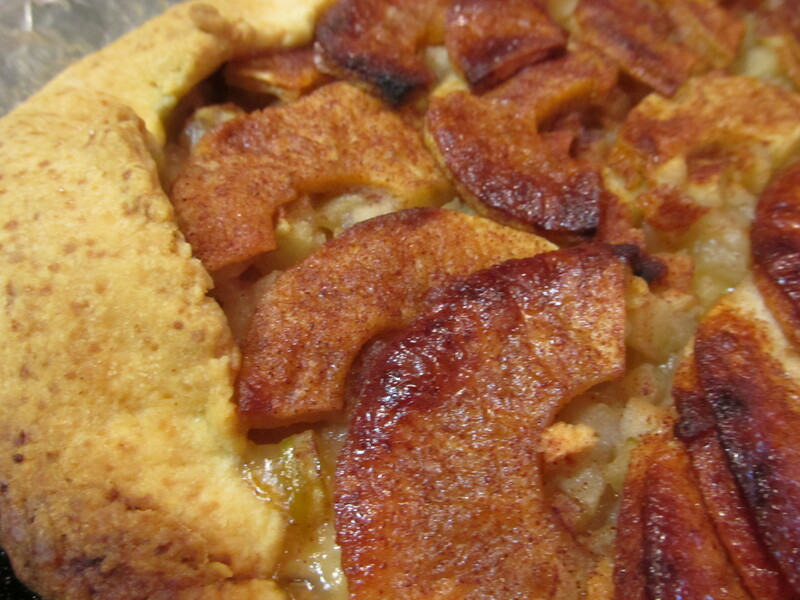 This is an awesome apple pie alternative if you have some friends come over. It’s easy to assemble and looks great for a casual meal. 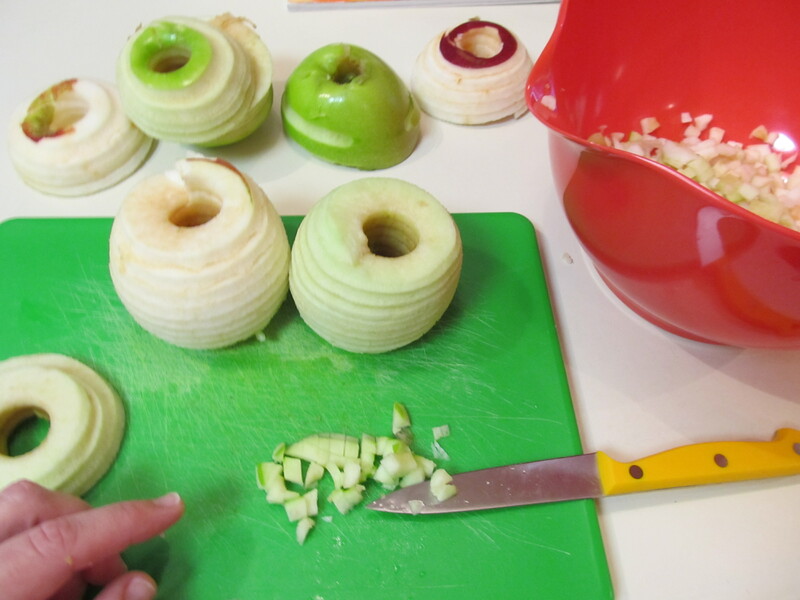 Peel, halve and core the apples and slice them crosswise 1/4 inch thick. Set aside the larger center slices and coarsely chop the end slices and any broken ones; about half of the slices should be chopped. In a small bowl, combine the sugar and cinnamon. Preheat the oven to 400°. 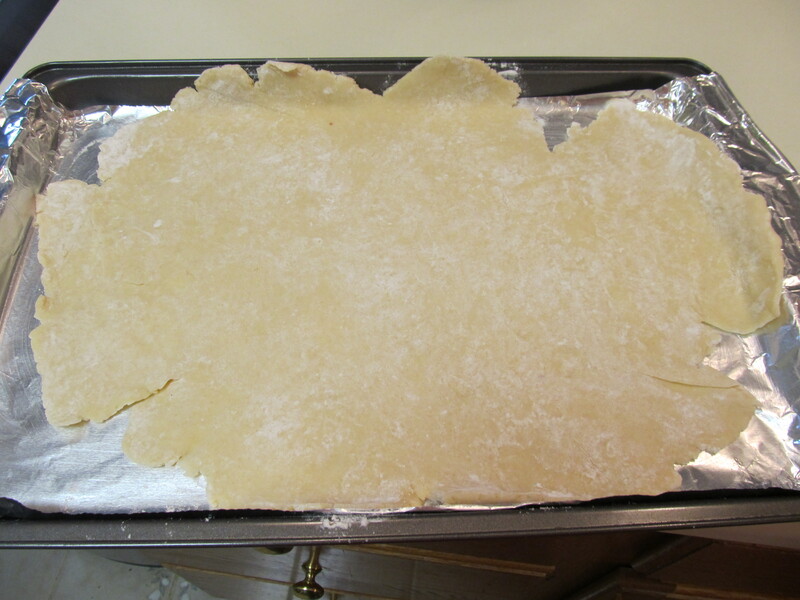 On a lightly floured work surface, roll out the pastry to a 12-by-14-inch rectangle and transfer to a large rimmed baking sheet. 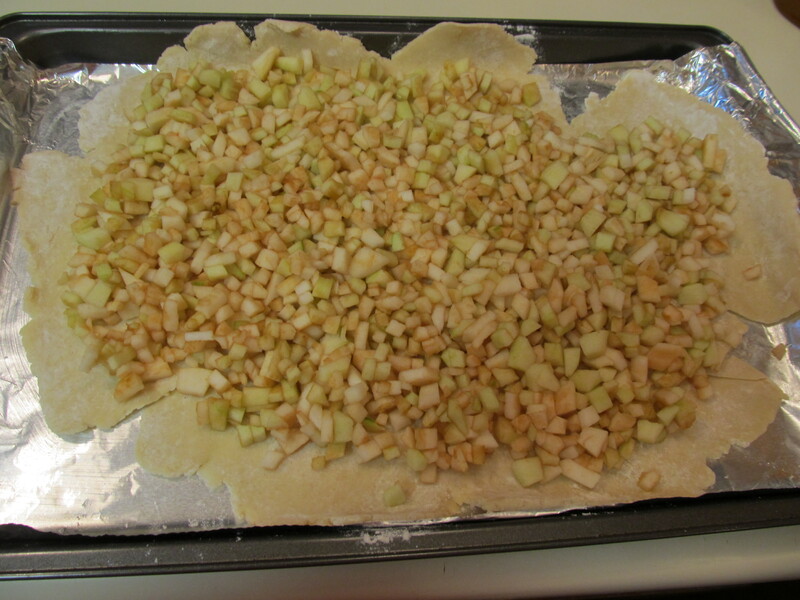 Spread the chopped apples over the pastry to within 1 inch of the edge. Drizzle the honey over the chopped apples. 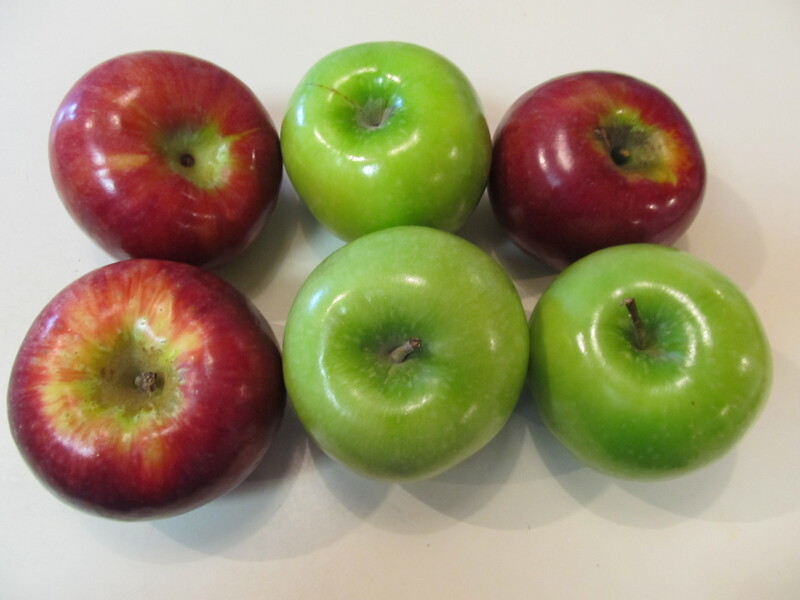 Decoratively arrange the apple slices on top in concentric circles or in slightly overlapping rows. 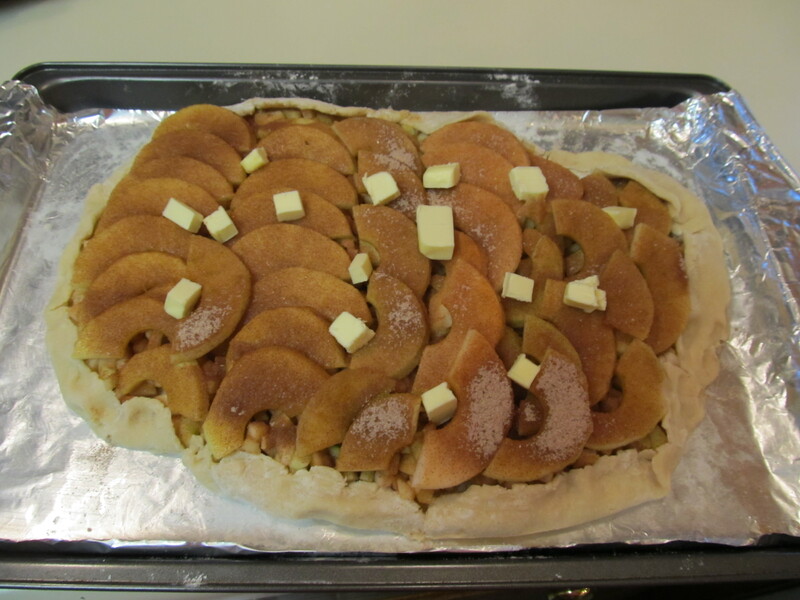 Sprinkle the cinnamon sugar evenly over the apples and dot with the pieces of butter. 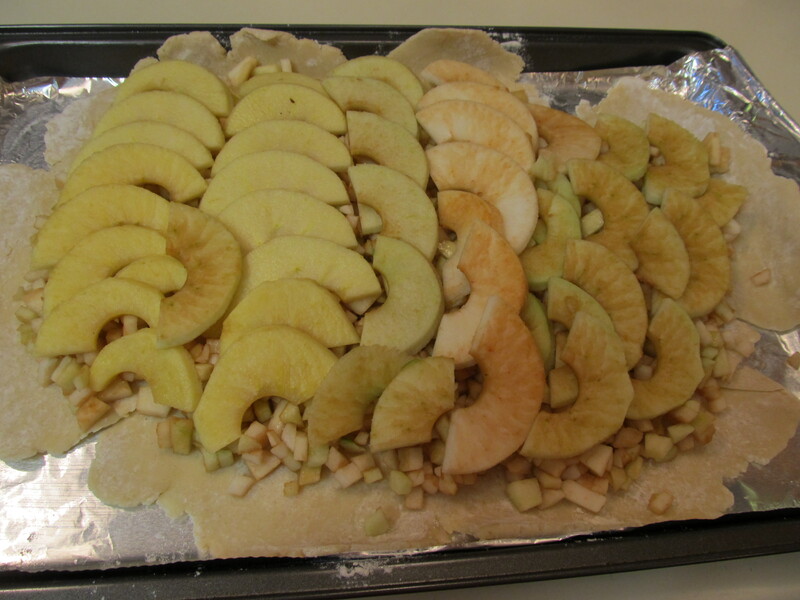 Fold the pastry edge up and over the apples to create a 1-inch border. 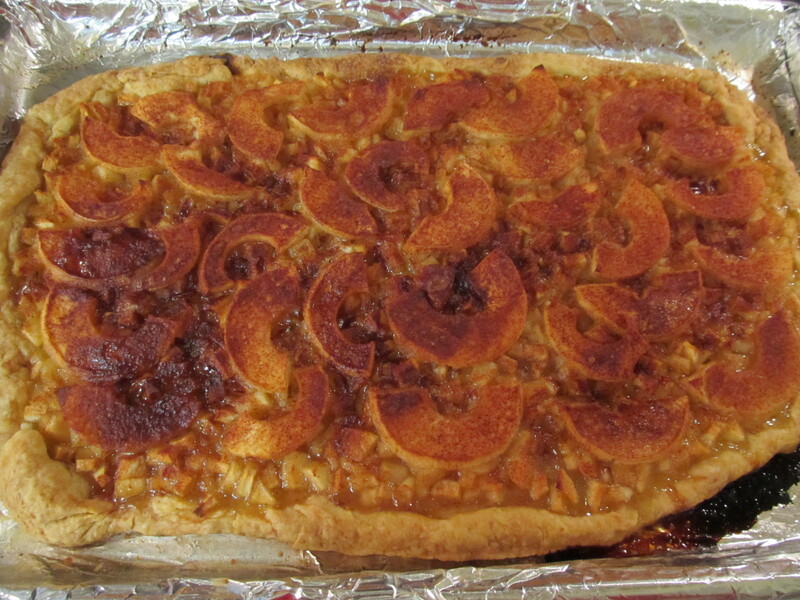 Bake the galette for about 1 hour, until the pastry is nicely browned and crisp and all of the apples are tender. Transfer the pan to a rack and let the galette cool. Serve warm or at room temperature. NOTE: The buttery pastry can be refrigerated overnight if you want to make the crust ahead of time.